A technological revolution has been sweeping through the meetings and events industry and, in the past three years, beamian – digital you has been instrumental in bringing that revolution closer to a wide variety of events, both national and international. The organization of University job fairs, booming throughout the country and bringing companies and students closer together in an informal environment, has been greatly improved and expedited with the help of the beamian system. 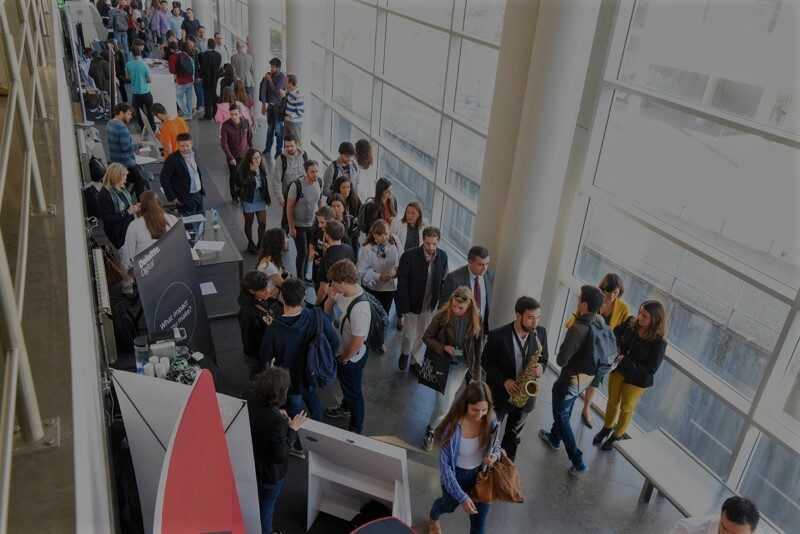 This is the case with the FEUP Career Fair, Porto’s Faculty of Engineering’s job fair, which has been working with beamian since 2016. Already established as one of the top Engineering job fairs in the country, the FEUP Career Fair registered over 2500 interactions in its first edition using the beamian system, with more than 800 registered students/alumni and fifty companies offering 1500 job or internship opportunities! Offering such advantages as online pre-registrations, electronic check-ins and the use of student cards as resumes, beamian has set off to eliminate some of the most common inconvenients associated with job and career events, such as the long waiting lines to get in, the waste of paper caused by the distribution of physical resumes and the recruiters’ need to carry them around and organize them later. The organizer also benefits from the platform, by having access to all the statistics of the event and creating a bridge between companies and candidates that favors and improves their interaction. The students can pre register online at home and upload their CV. Then, at the event, a quick check-in associates the students’ email and information with a smartbadge (the visitor’s electronic identifier), be it their student card or a beamian card . The beamian platform then enables the visitors to leave their contacts and resume at any recruiter by simply touching a beamer (the company’s electronic identifier) with their smartbadge. This results in faster check-ins, an increase in the number of sent out resumes and an all-around easier recruitment and selection process for the companies (and, of course, less wasted paper). And that is, indeed, the heart of beamian: to make sure that everyone is getting the most out of the event, by using technologies that favor interaction between all those involved.